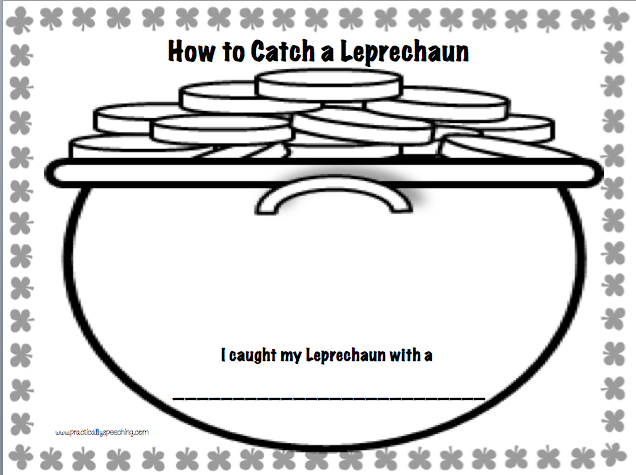 How to Catch a Leprechaun! FREEBIE Alert! 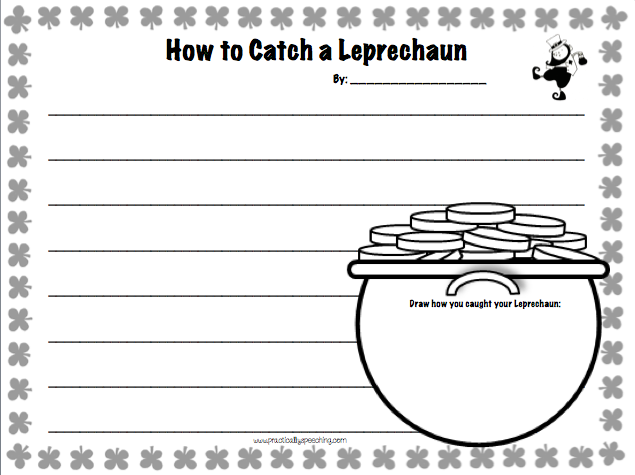 We've been talking about shamrocks, leprechauns, and anything green since we got back from February break! 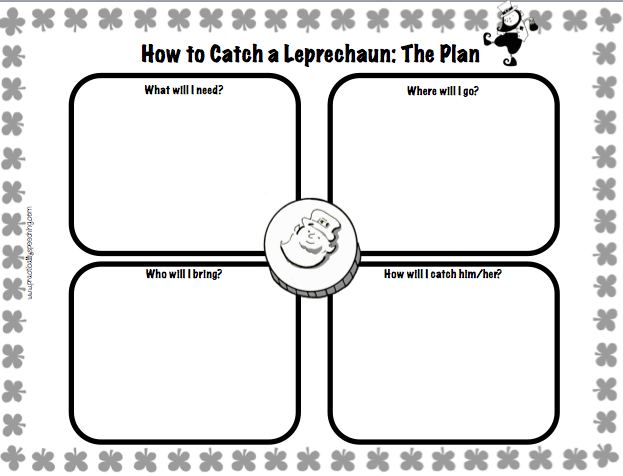 In one of our chats, my students all hatched a plan on how to capture a leprechaun and get the gold. It was a pretty intense, creative discussion and it got me thinking! If I can harness all that gold-crazy energy into an activity, we could really have something here! Enter: this packet. :) I crafted this selection of worksheets (all black and white to help your printer!) to lead up to the eventual writing portion. We're big on the writing process in my school and so in order to prep the kiddos, I like to format my writing tasks similar to the ones in class. 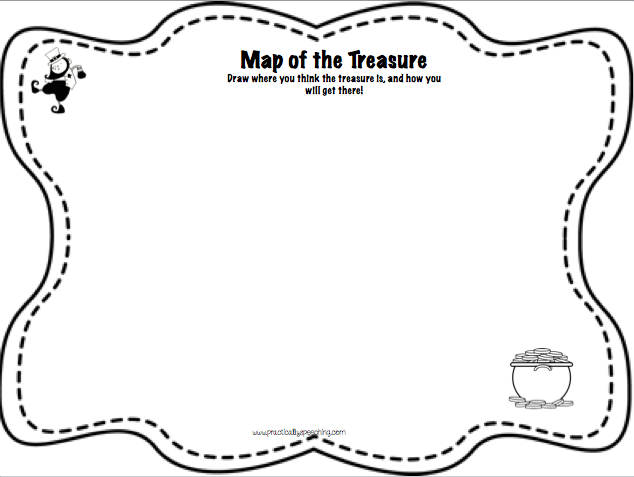 This packet has WH-questions that they can answer, along with a DIY treasure map where they can place the treasure in any country/town/city they want! A sequencing chart helps to organize the story and sets the pace for the writing. 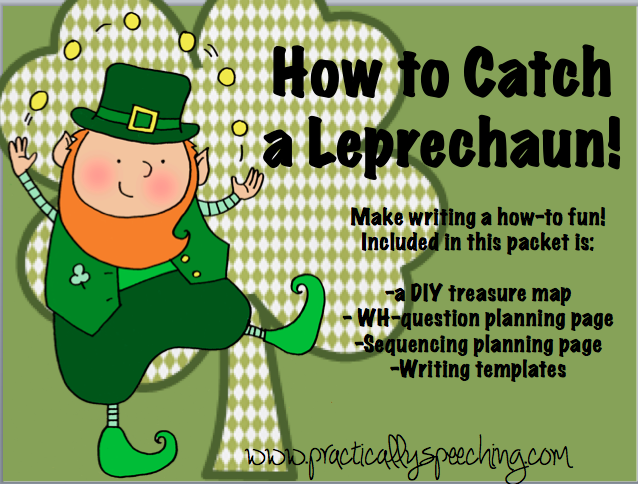 Eventually, the packet ends with the writing pages, and something for our little friends who don't love to write! I can't wait to show this to my kiddos tomorrow, and I hope you will have the best time doing this with yours!